The Swedish automaker Volvo will be showing their new plug-in V60 diesel hybrid at the New York auto show later this month according to reports in the automotive press. This new information may hint that Volvo is considering bringing their pricey new hybrid to the U.S. after all; initially reports suggested it would only be available in Europe. The V60 Plug-In features a 2.4L D5 turbodiesel engine driving the front wheels and an electric motor powering the rear axle, giving the hybrid all-wheel drive. The diesel engine is rated at 215 horsepower and 320 lb-ft of torque, with the electric motor adding 70 horsepower and 147 lb-ft of torque, netting a total system output of 285 horsepower and 467 lb-ft of torque. Volvo says the hybrid wagon can accelerate from 0-62 in just 6.1 seconds. 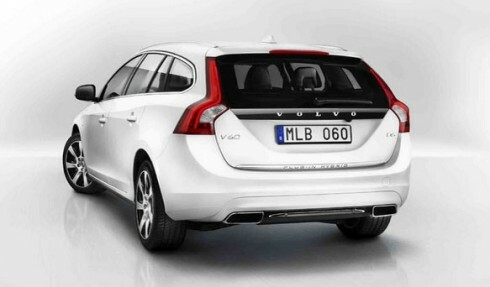 The V60 Plug-In can cover 31 miles in electric-only mode and is capable of 130mpg in hybrid mode.